Where expertise in the operative procedures matters, the idea of doing the best root canal treatment is of paramount importance. In a dental clinic in Delhi, where teeth problems are being treated, it is necessary to have high end equipments with fine tips and laser sprays to work on the tooth. Technology has become advanced in a big way nowadays, but the clinical expertise of the dentists in Delhi also matter a lot. Without their sufficient training and expertise in learning these techniques, it would be difficult to work on teeth structures. Different dentists will have varied finishing touches to the root canal treatment. This is because of the mechanism of treatment. One has to be proficient to make the treatment successful, which will include an effort towards removing the infection associated with the roots of the teeth. 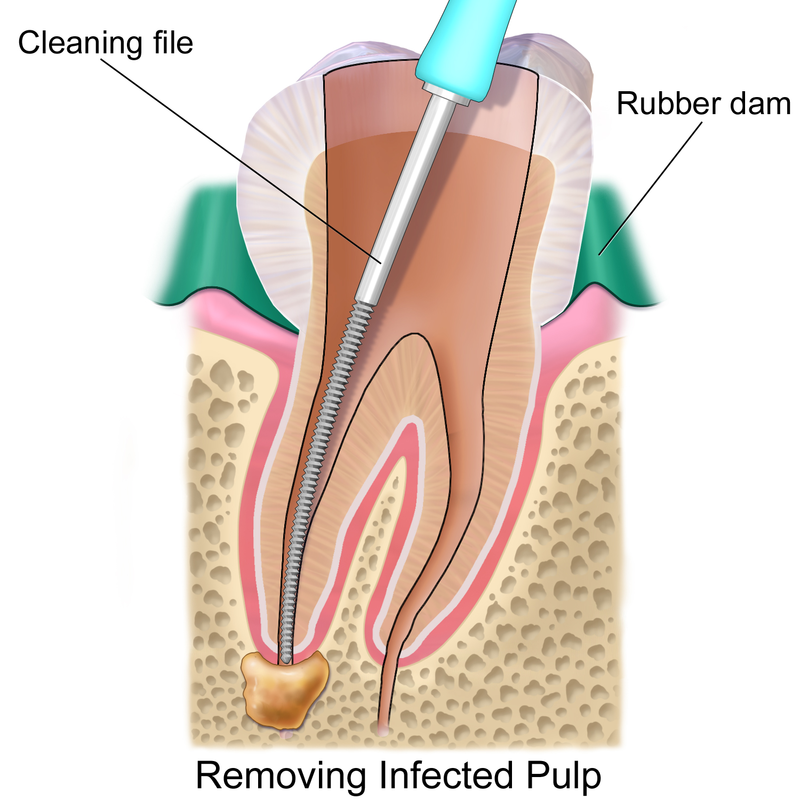 Starting from the pulp to the tissue at the root of the teeth, the area is filled up with pus and infectious discharge. It is one of the areas where the blood flow is not very liberal. As a result, when microorganisms reside in this area, they become extremely difficult to be eradicated completely. Antibiotics and other drugs can suppress the infection to some extent, but at a later stage, the infection again recurs, thereby giving pain and swelling in the same area again and again. With the help of the dentists in Delhi, the root canal treatment can be done with precision. In such treatment procedures, the pulp and the soft tissues around the root of the tooth are removed. This allows the infectious microorganisms to get removed also. In the process, any inflammatory tissue present in the region is also cleared. Thereafter, the space created is filled with dental filling materials to make the area free of tissues and prevent any further colonisation of bacteria. Along the shaft of the tooth roots, filling materials are placed along with pins to hold the shaft and give it strength. These are procedures which will warrant a strong procedural skill, as the root canal treatment will cover a number of small features to be completed. Doing these procedures with caution and care will be helpful for people in getting relief from the infectious organisms and give rest to the considerations by many people, about the pain associated with root canal treatment. In contrast to earlier days, when almost every case of root infection was managed by removal or extraction of the tooth, the modern day technological advancements have helped in restoration of the tooth. People with such problems are able to keep their normal teeth in their dentition and only remove any cause of infection. These days, most people in need of root canal treatment (RCT) are able to get the procedure done in our dental clinic in Delhi and get a long term solution. Materials being filled into the roots are able to stay for long and give tooth the strength to respond like any other normal tooth.